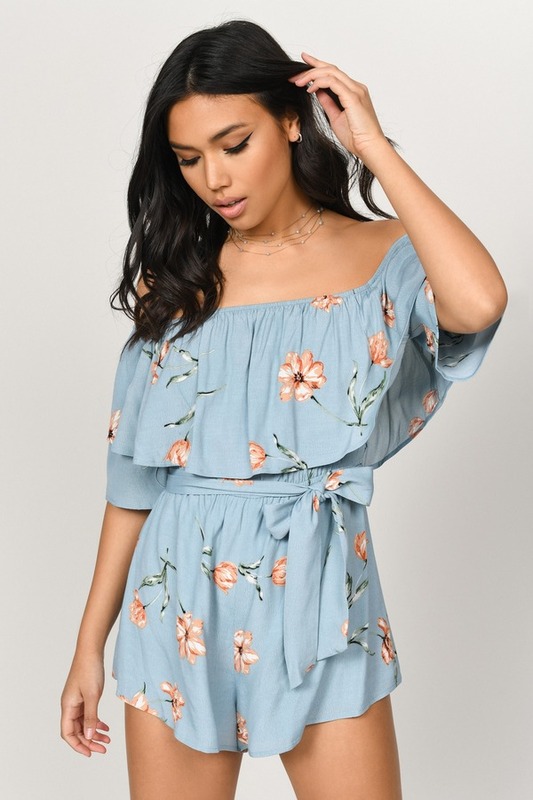 Check out Tobi's Kelly Off Shoulder Romper You'll find everything you're looking for and more with the Kelly Off Shoulder Romper! Featuring an off the shoulder neckline, top ruffle tier, and a waist-tying sash on a lightweight floral-printed weave. You'll find everything you're looking for and more with the Kelly Off Shoulder Romper! Featuring an off the shoulder neckline, top ruffle tier, and a waist-tying sash on a lightweight floral-printed weave.